With 21 participating countries that were Austria, Belarus, Croatia, Czech Republic, Denmerk, Denmark, Spain, Estonia, Finland, France, Germany, Hungary, Italy, Jordania, Kazakhstan, Nederland, Poland, Russia, Slovakia, Tunisia, Ukraine and USA and 418 finswimmers, the 3rd Round of the CMAS Finswimming World Cup 2018 was a success! Obviously (but not al all) the country with the major number of teams was the hosting one: Germany with 19 clubs, following Poland anc Czeck Republic with 8 clubs. Austria, Belarus, Denmark, Spain, Jordania, Kazakhstan, Nederland and USA only 1 club. 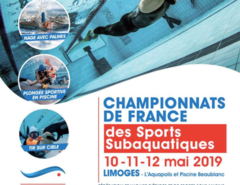 The performances were in the average, maybe a little bit worst than the first 2 rounds because of the lack of some top level finswimmers, but it proved that the interest by athletes about international finswimming races is at high levels. In senior category the multi world champion and world record holder Valeria Baranovskaya won 100 sf and 200 sf. 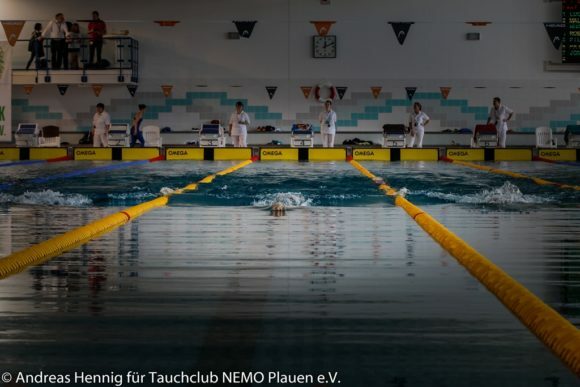 Petra Senansky got the gold meda, as every time she compete, in 50 bifins and 100 bifins, and she was second in 50 sf, after Krisztina Varga who won only this event and was second in 200 bifins and 100 sf! Aliaksandr Biazmen won 3 events: 50 sf, 100 sf and 200 sf. Lev Shtraikh got 3 different medals instead: gold in 200 bifins, silver in 50 bifinss and bronze in 100 bifins. All the results are available in our dedicated post, and a lot of pictures and videos too are available here. 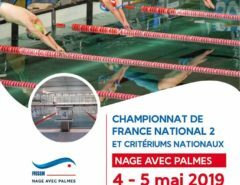 In less than 4 weeks, the 4th Round of the CMAS Finswimming World Cup 2018 will be held in Coral Springs (Florida – USA) on May 11th-13th 2018. Here some interviews of Johanna Schikora, from TC FEZ Berlin, who won 400 and 800 sf girls.